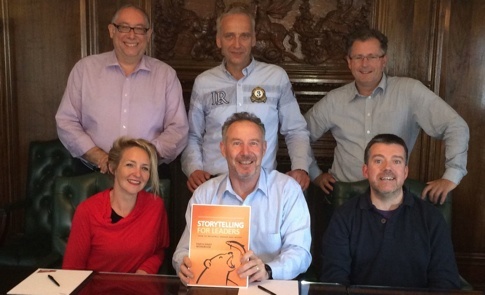 On 19 and 20 June I was in London to run the accreditation program for a few of our new Storytelling for Leaders (TM) Partners. We had a fun time together and its always a pleasure working with great people. Working with experienced and professional facilitators and storytellers meant I learned lots as well. Many thanks to Stuart for helping me focus the Connection Stories activity on ‘moments’. If you are in the UK or Europe (apparently there is a difference) and want to learn more about Storytelling for Leaders, give one of them a call. Front Row L-R: Hannah Havas (based in France), yours truly, Stuart Reid (based in the UK).